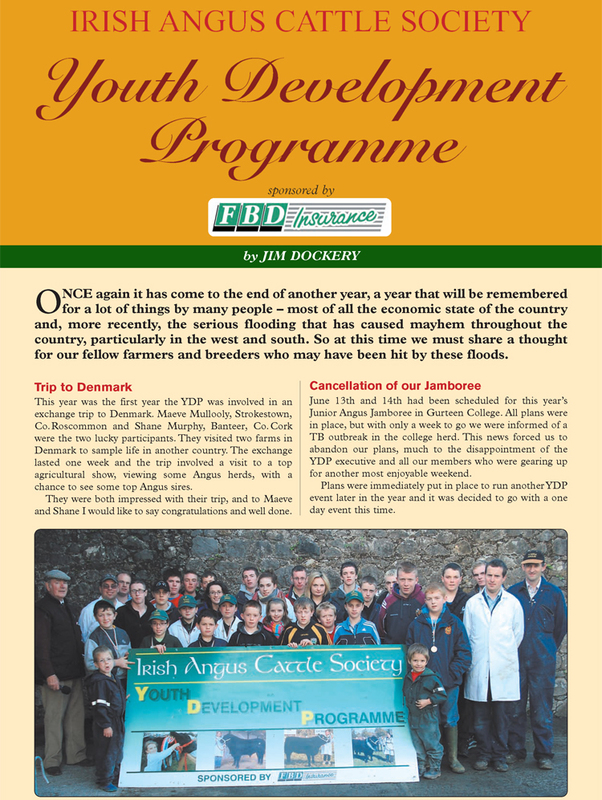 This year will be remembered for many things to many people and in particular the financial setback and down turn in the economy especially the later half of the year, the constant pressure put on farmers and their families with the continuous rainfall throughout the entire year has certainly left it a year that will not be forgotten too easily. 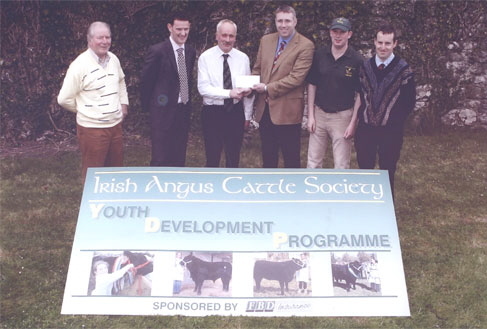 However we must look to the positives when times are challenging and for our Irish Angus Youth Development Programme 2008 was a very positive year with a total of 5 different events throughout the country. 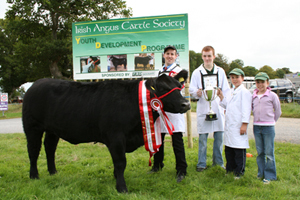 (1) to do all we can to encourage new members to get involved in handling and breeding Angus cattle. 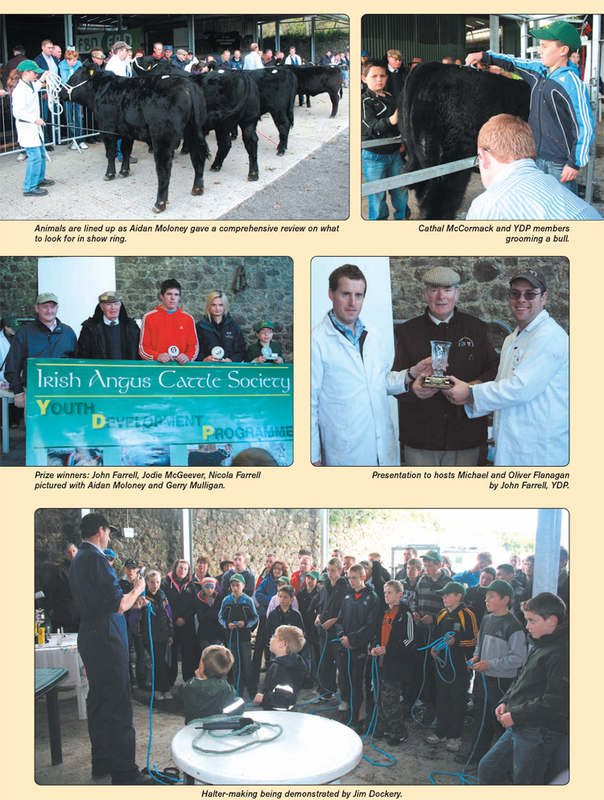 (2) to keep our present members (117 in total) interested and involved in handling and showing Angus cattle. 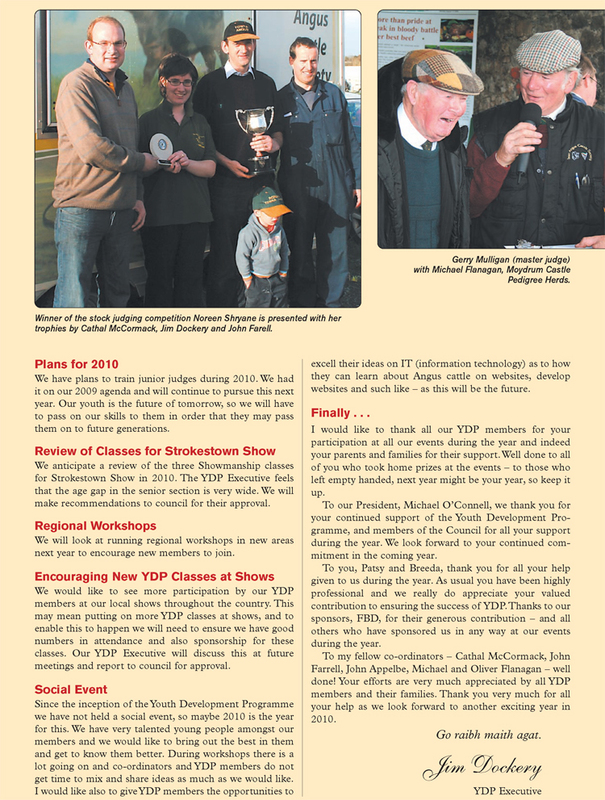 So each year we strive to create new ideas and run new events to keep this interest alive. 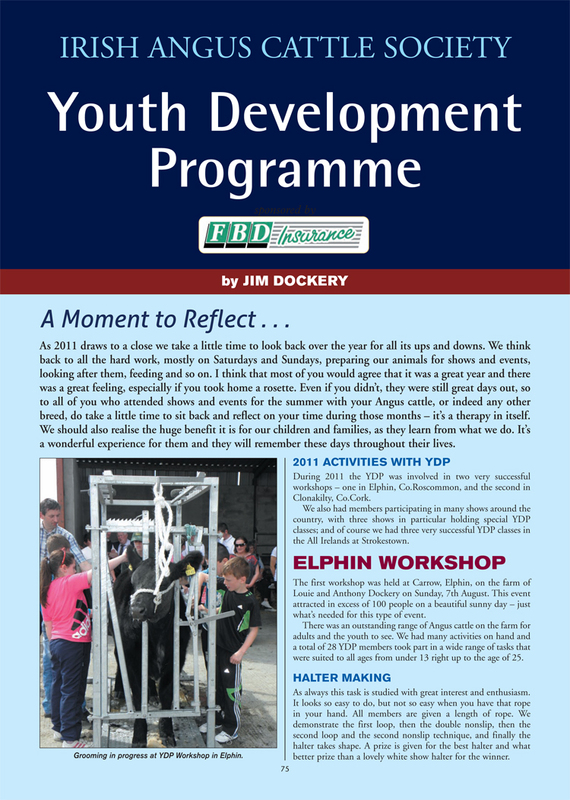 This year we decided to run 3 regional workshops to encourage participation in the local regions without having to travel too far. 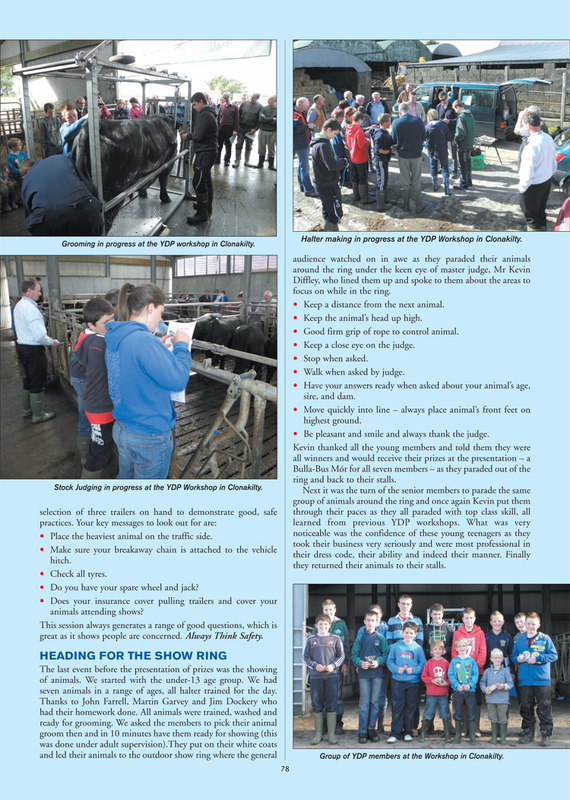 So we started off the year with or first workshop in the Leinster region on Sunday 25th May on the farm of Larry Farrell, Haroldstown house, Tullow, Co Carlow. 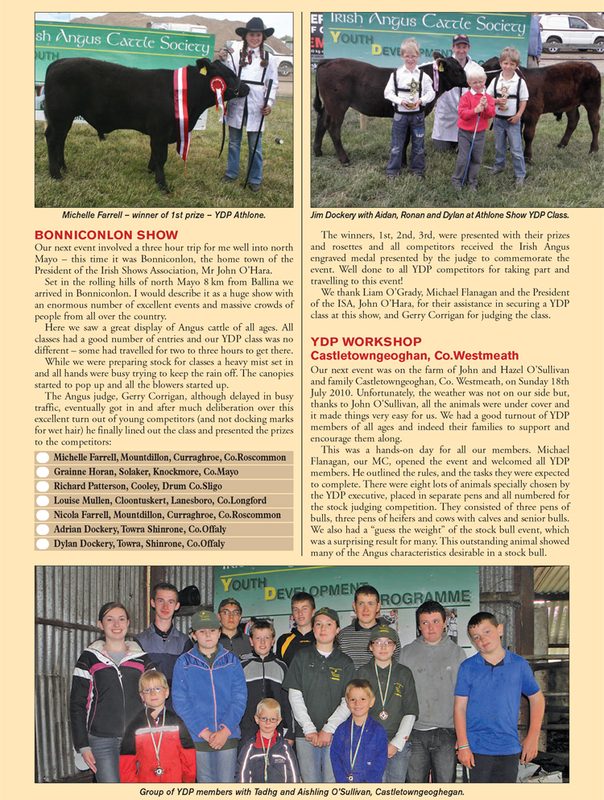 Blessed with a good bright sunny day we had an excellent programme laid out, with top class facilities and a full range of stock on hand for the various stock judging classes, halter breaking, guessing the weight, and a choice of bulls to choose from for the washing, clipping and grooming demonstration carried out by John Farrell from Curraghroe Co Roscommon. 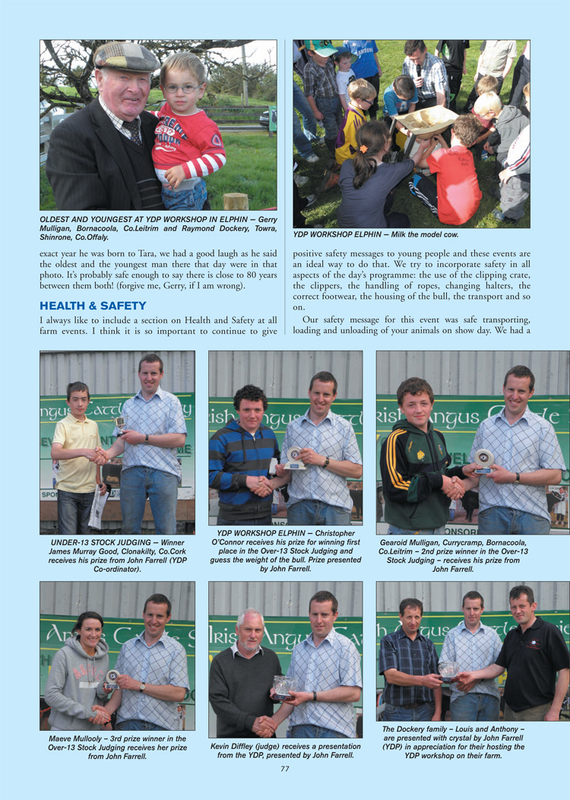 While the attendance was smaller that anticipated due mainly to the time of year and the clash with leaving cert study/exams, we were very happy with this first event and sincere thanks to the Farrell family for the use of their yard and facilities and exceptional hospitality, we finished up the event with presentation of prizes and of course Cupan Tae, everyone that attended this event went home with the happy feeling that this day was very well worthwhile for them. 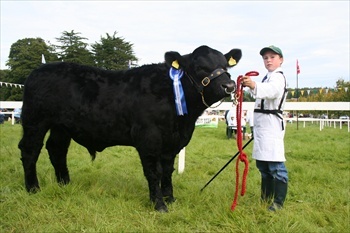 Once again we were provided with state of the art facilities and great sunshine and had well in access of 60 people in attendance, John Farrell demonstrated how to clip a heifer and present her for show in front of the large audience, which proved to be a very interesting exhibition such was the range and number of questions and queries from all ages of the audience. 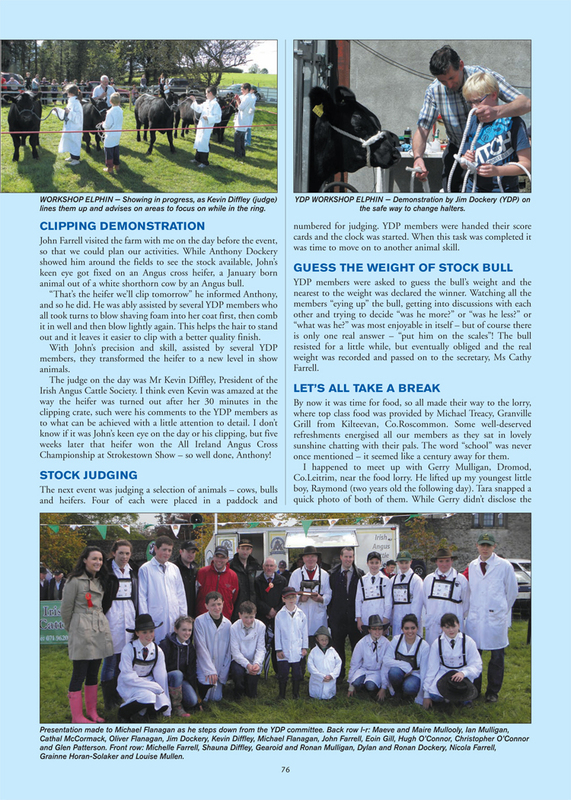 Once again we had our other activities on the programme for our YDP members, halter training, stock judging, guessing the weight of the stock bull. 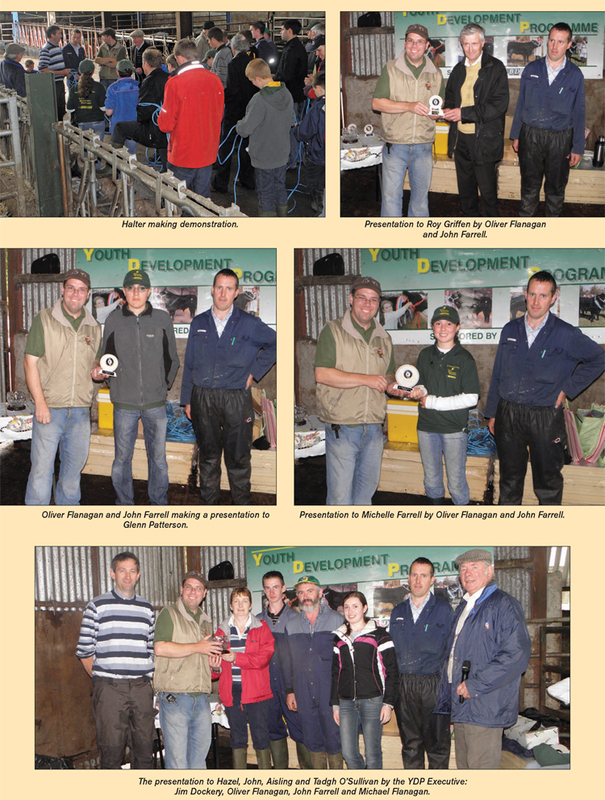 We concluded the event with John Appelbe presenting all the winners with their trophies and well done to all who took part especially the new members. 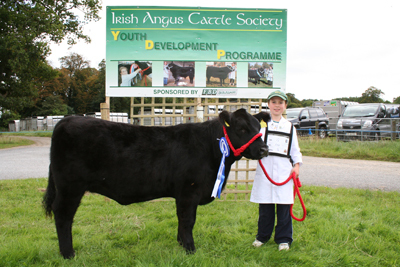 A fine display of food laid out for everyone that attended, thanks to the Munster Angus Club and Sharon O Connell. 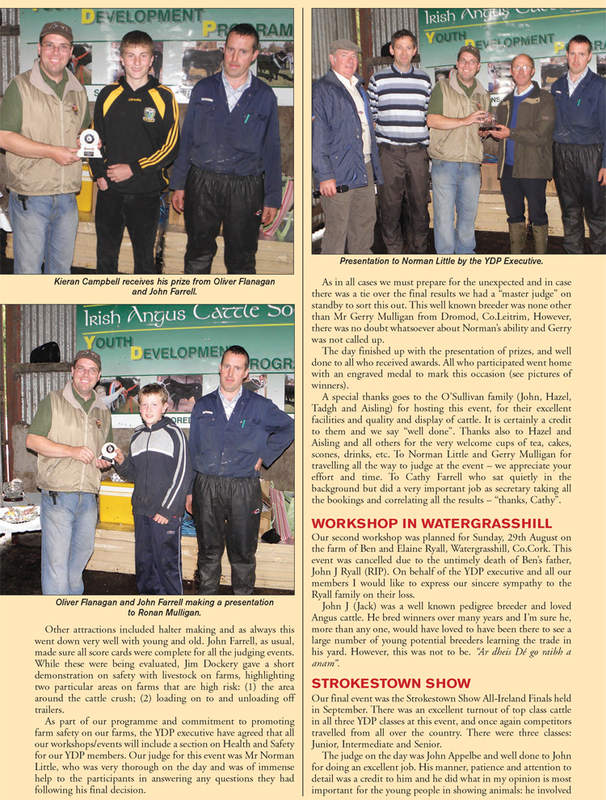 I would like to sincerely thank the O Connell family for their hospitality and for the use of their facilities for this workshop. 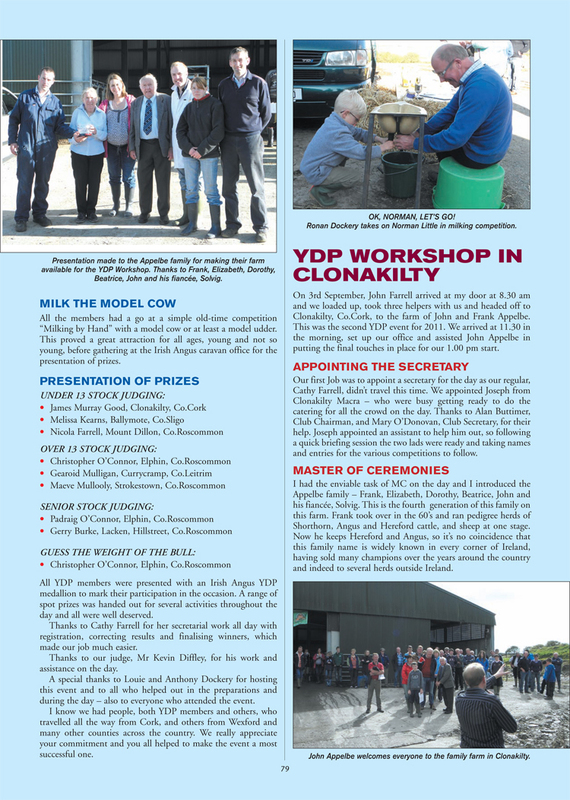 Our third event was back west of the Shannon a week later 8th June this time on the farm of Liam O’ Grady, Kilkelly, Co Mayo. 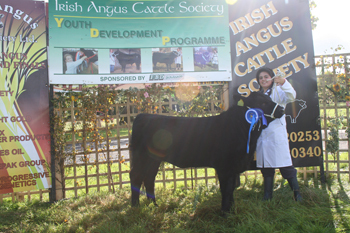 Once again we were blessed with brilliant sunshine and had an excellent display of stock for all the events. 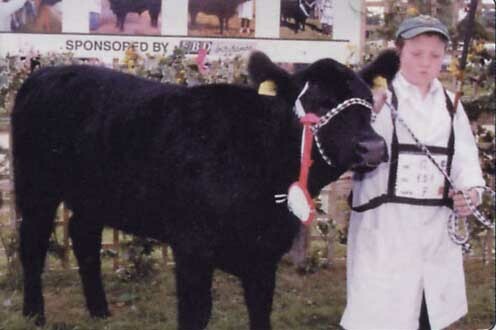 Once again John Farrell hauled his clipping crate and relevant equipment required to run the event safely so we set up and were ready to run at 1pm. 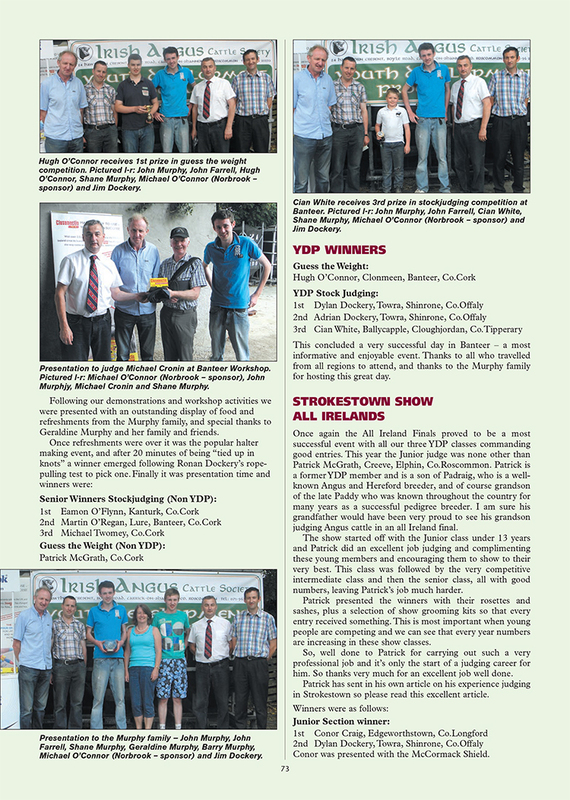 There was well in access of 100 people in attendance possibly helped by the good weather the bank holiday and thanks to Liam O’ Grady for putting in an article in the local paper the previous week, we were also fortunate to secure Skillnet funding for this event thanks to Anthony Dockery Roscommon partnership and Gerry Gallagher manager BMW Skillnet. 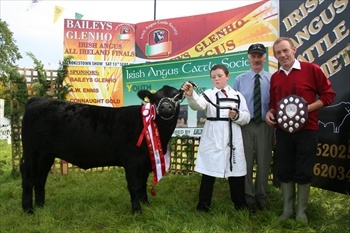 Ballyshannon, Co Donegal. So I suppose it is fair to say we learned as we went on and got better as we went. 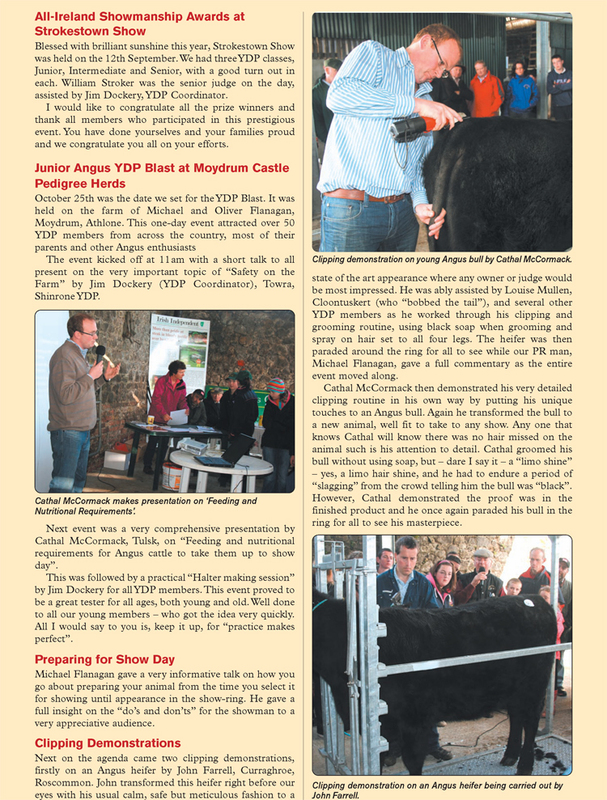 The large attendance was highly entertained with all the activities and demonstrations and again we finished up with presentation of prizes to the YDP Members by the president of the Irish Angus Cattle Society Norman Little. 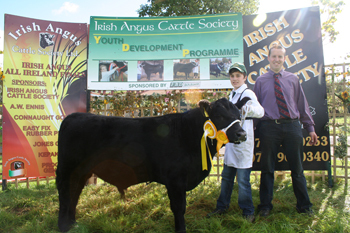 A special thanks to the O’ Grady Family for the use of their facilities and for all their hospitality. 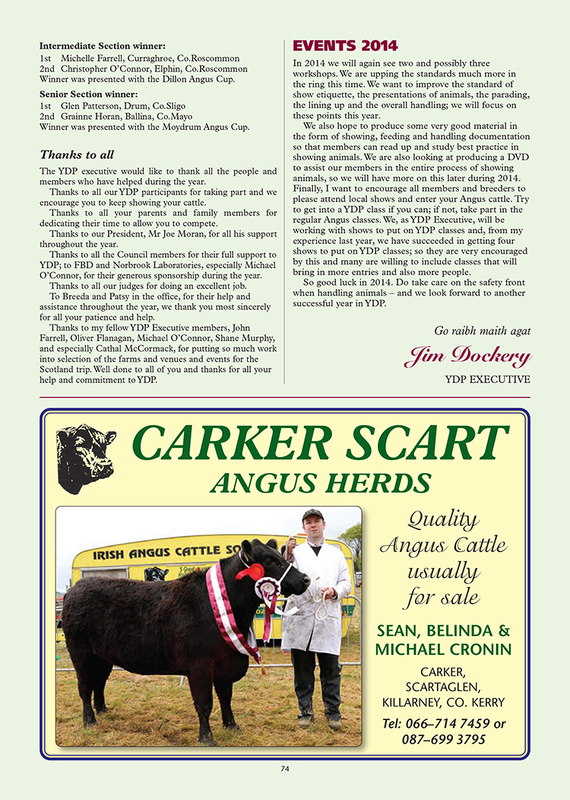 These three regional events were indeed very successful and have in my opinion from speaking to people following the events done a lot of good for our YDP members as well as many of the breeders and farmers who might be looking at getting into the Angus breed. I would like to thank again the three host families for their help support and Hospitality. 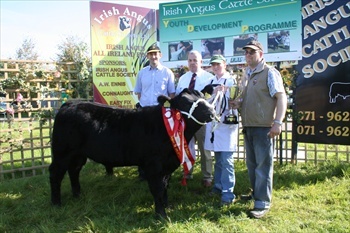 Our next event was the 2nd annual Junior Angus Jamboree held in Gurteen College on the week end of 21st and 22ndJune 2008. 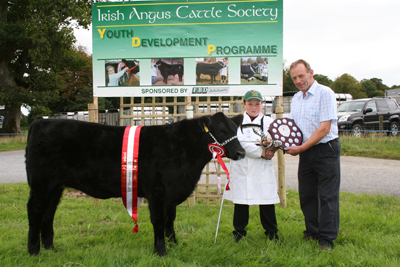 This event proved to be very competitive as the grand final of the Junior Angus Interclub Competition, with three very competitive teams it was down to the very last event before the judges could finally decide the winners, and the winning team of 7 members was from Connaught who were presented with the Towra Angus perpetual Cup presented by the Dockery Family Towra Shinrone Co Offaly. 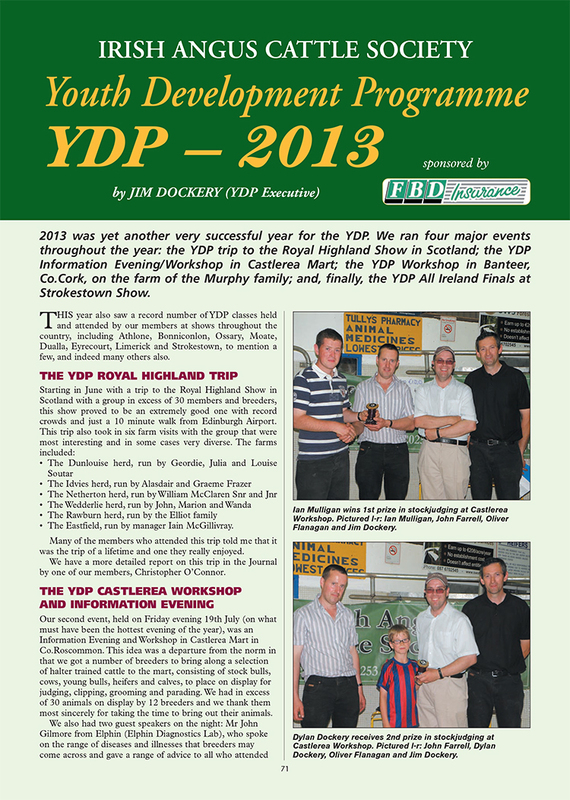 All YDP members were presented with an Irish Angus medallion to mark the occasion. 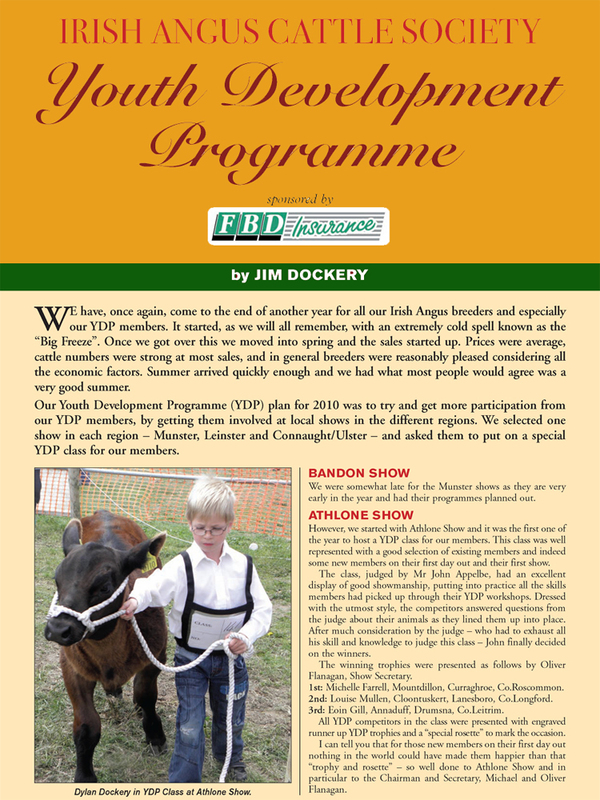 I would like to thank all our YDP Members for their time, patience and effort in making this event a success to their parent’s friends and family members thanks to you for your support and help over the week end. 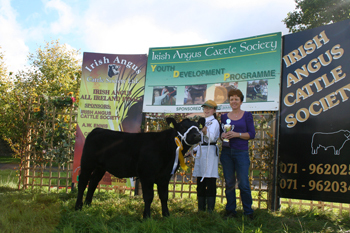 Our next and final event was the All Ireland Final held in September in Strokestown here we had three all Ireland classes Junior Intermediate and senior and an excellent display of animals in all classes. 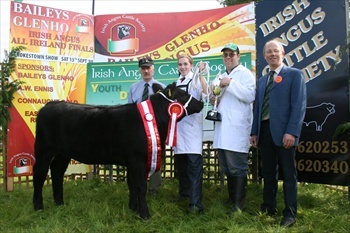 Christopher O’ Connor, Elphin won the Junior Class, David Goulding, Kerry won the Intermediate Class and was presented with the Dillon Angus cup By John and Cathy Farrell. 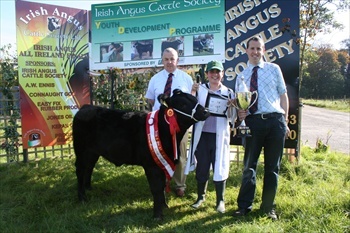 And Marie Mulooly, Roscommon won the senior class and was presented with the Moydrum Angus Cup by Michael and Oliver Flanagan. 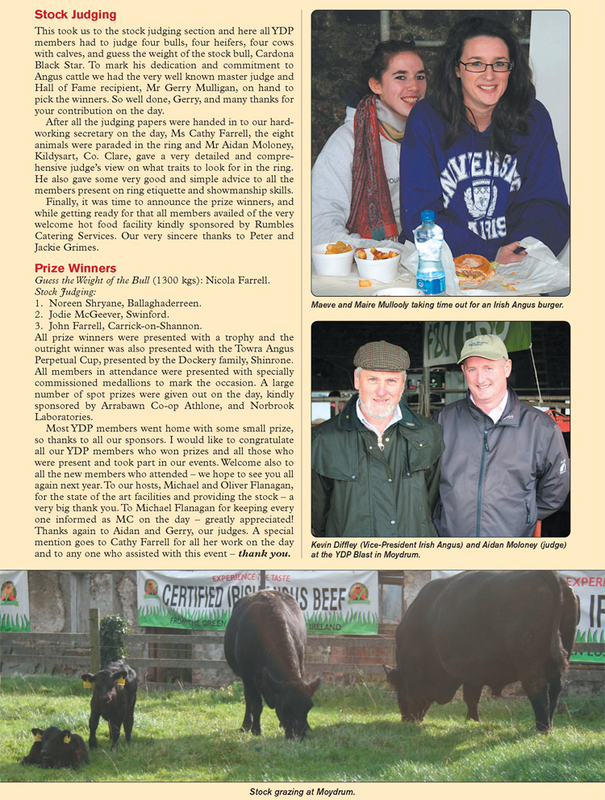 The winner of the senior class also won a trip to Denmark as part of an exchange holiday to a farm in Denmark. 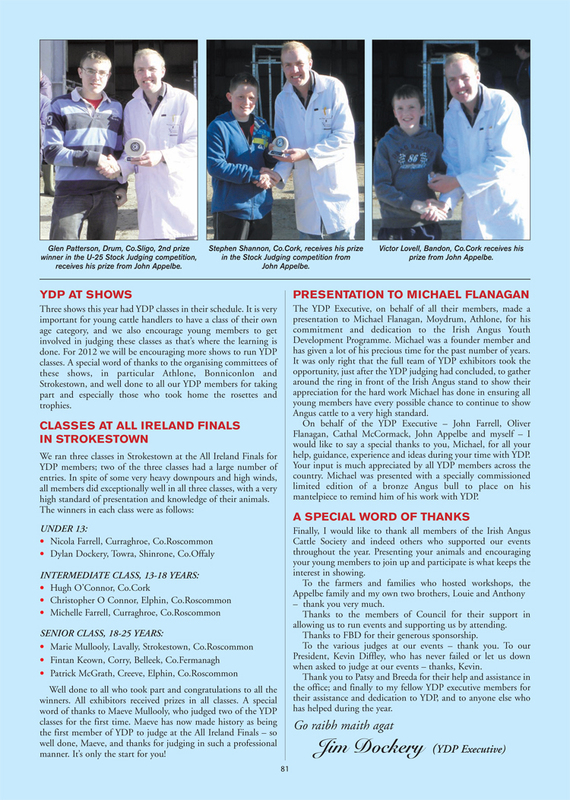 So well done to all the winners and Runners up that competed in the All Ireland Final and we look forward to having many of the runners up back as winners in the future. 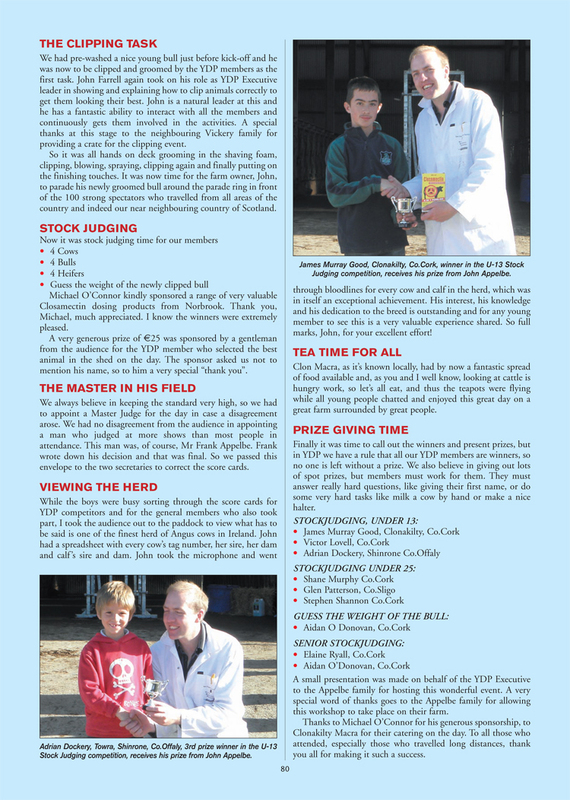 And a special thanks to the Judge Derek Lovell who had the enviable task of picking the winners on the day. 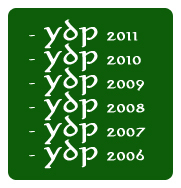 That concludes our Youth Development Programme of events for 2008. 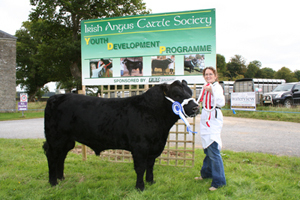 This DVD can be made available at a reasonable rate to all Angus breeders or indeed farmers throughout the country. 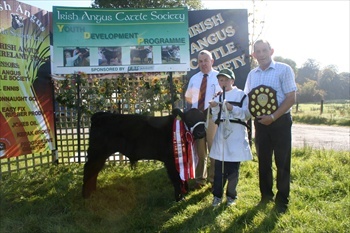 Secondly we are looking at having a number of junior judges trained and available to judge at shows and events throughout the year we would like especially to have a junior judge ready for the All Ireland at Strokestown show. 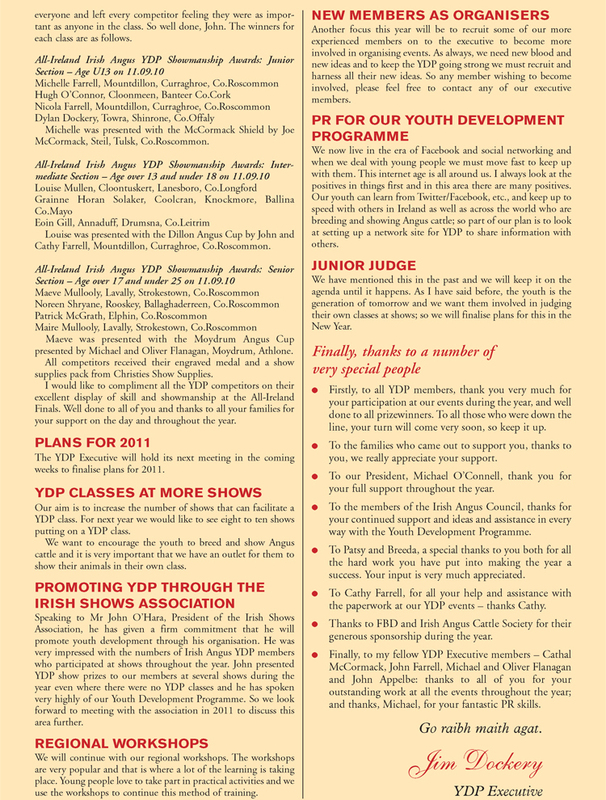 To all our YDP Members to our Host families/Farms to you as members that took the time to attend our events, to our Judges for judging our events, To our President Norman Little and most especially my fellow YDP Executive who have done fantastic work all for the benefit of others, Michael Flanagan for all his help and assistance on the PA system for all the events Oliver Flanagan, Cathal Mc Cormack. 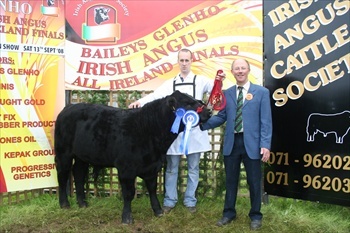 John Appelbe and finally John Farrell who has travelled the country with his own crate and equipment to ensure the clipping was done in a safe and proper manner. 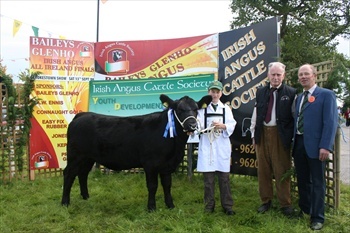 To our sponsors FBD, To Patsy and Breeda in the Irish Angus Office for all their patience and help in sending out correspondence and taking phone calls. 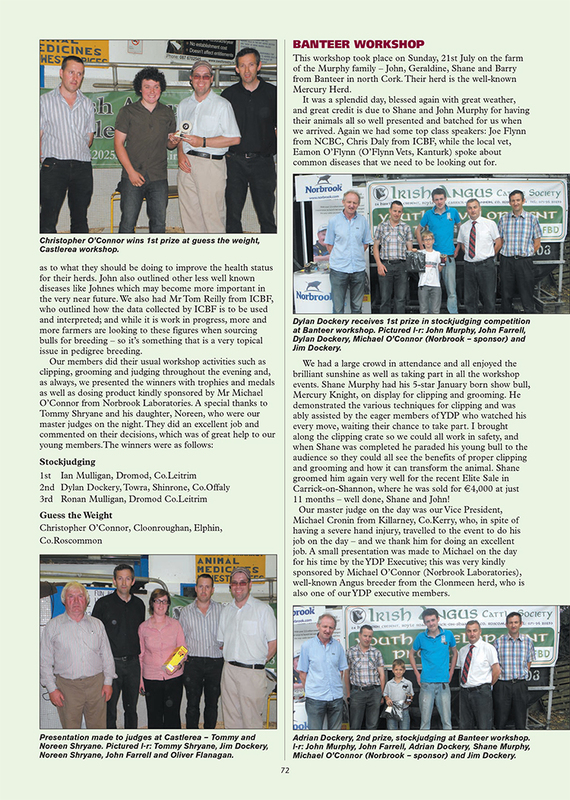 To The IFJ and all the local Press and to all who have helped in any way throughout the year. 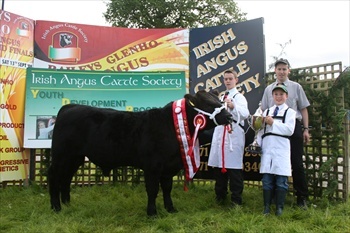 The future of the Irish Angus Society will be greatly enhanced by the involvement of young breeders and stock handlers in all aspects of the breed. 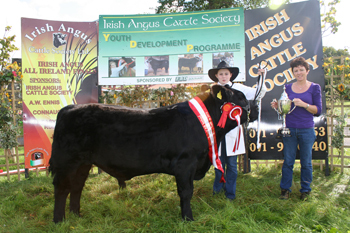 To encourage and promote the involvement of young people with Irish Angus Cattle. To teach the necessary practical and leadership skills. 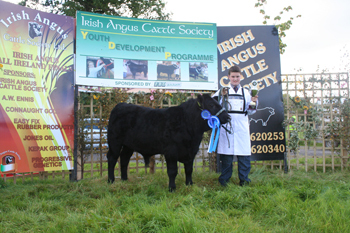 To promote a greater use of Irish Angus pedigree and commercial cattle in Ireland. 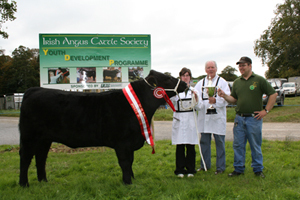 Halter breaking, stock preparation and presentation. 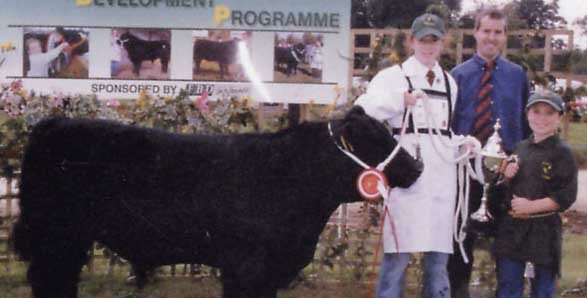 Showring techniques and showmanship skills. Judging and reason for placement. 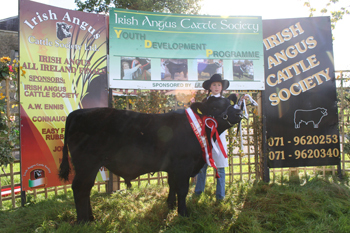 To be held at the Irish Angus All Ireland Finals. 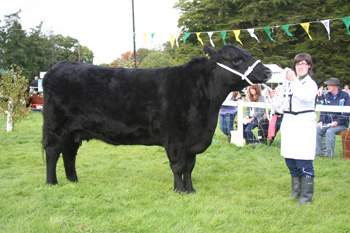 Prizes will vary from a trip to the Perth Bull Sales to show grooming equipment plus perpetual cups. 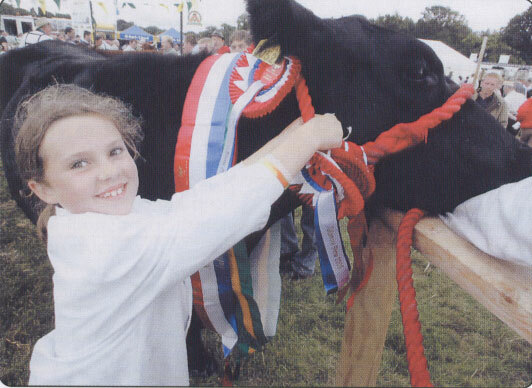 Michelle Farrell, Mountdillon, ties on her rosettes after sweeping the boards at Tullamore. 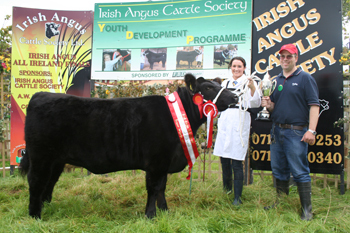 YDP Intermediate Section Winner 2006 - Maire Mullooly, Lavally, Strokestown receiving the “Dillon Cup” from John & Michelle Farrell.